In an intense battle at the Peace and Friendship Stadium, Olympiacos Piraeus improved its chances to make it to the Turkish Airlines Euroleague playoffs by downing defending champion Real Madrid 99-84 in Group F on Friday. Both Madrid and Olympiacos have 6-6 records in Group F, as do FC Barcelona Lassa, Brose Baskets Bamberg and Khimki Moscow Region. Vangelis Mantzaris led the winners with 19 points on 6-of-6 three-point shooting – a new career high. 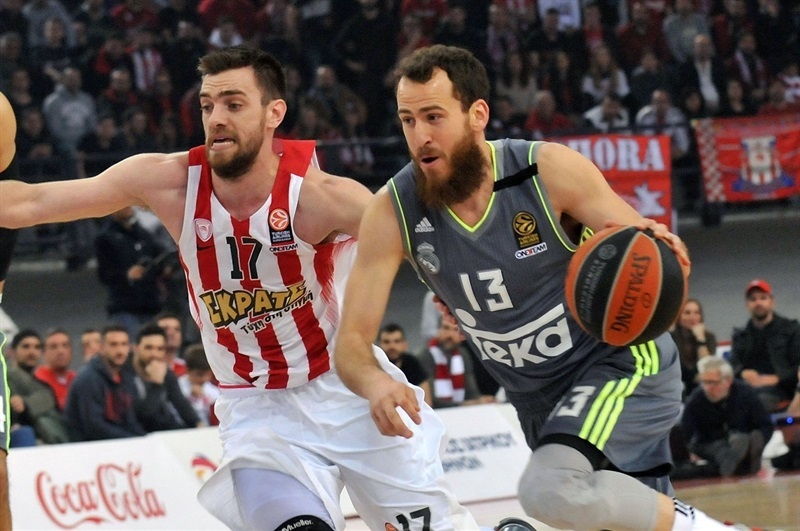 Vassilis Spanoulis added 18 while Georgios Printezis had 17 and 8 rebounds for Olympiacos. K.C. Rivers and Sergio Llull led Madrid with 17 points apiece. Jaycee Carroll and Sergio Rodriguez each added 11 for the visitors. 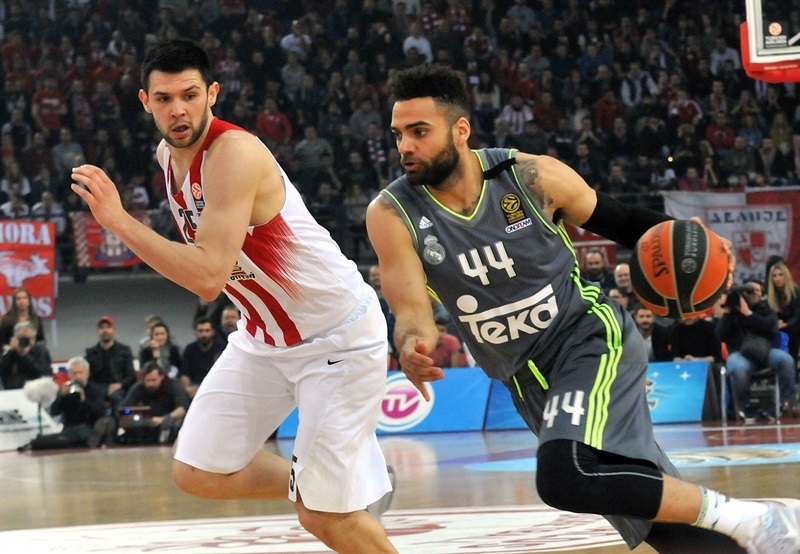 Kostas Papanikolaou and Mantzaris shined early to give Olympiacos a double-digit lead. Llull and Gustavo Ayon stepped up for Madrid to bring Los Blancos within 23-17 after 10 minutes. 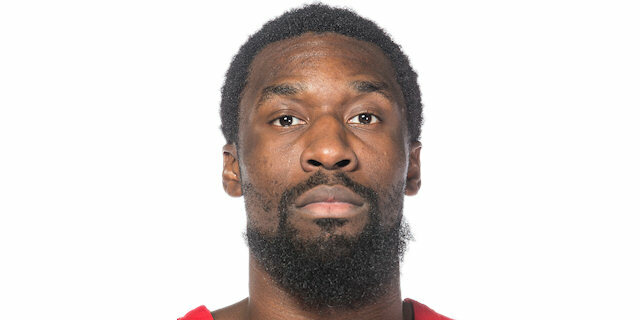 Hakim Warrick took over early in the second quarter and a three-pointer by Ioannis Papapetrou broke the game open at 32-19. Warrick kept pushing Olympiacos and a wild buzzer-beating triple by Spanoulis made it a 20-point game, 53-33, at halftime. Nothing changed after the break, as Olympiacos held a 73-54 margin after 30 minutes and sealed the outcome long before the final buzzer and held off Madrid's comeback to get the potential tie-break advantage between both teams; Madrid had registered a 84-72 win in the Spanish capital. 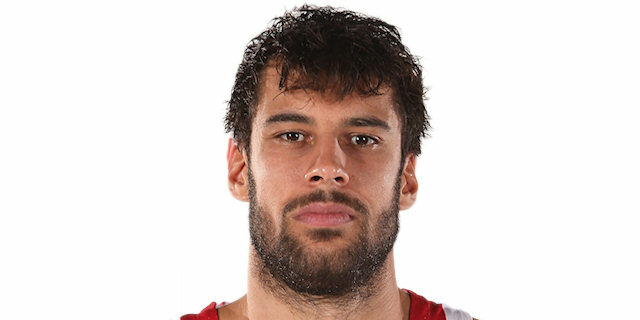 Papanikolaou got Olympiacos going with a free throw and Printezis added a three-point play for a 4-0 lead. Madrid committed 3 fouls in the opening 74 seconds and even after Llull hit a stop-and-pop jumper, a put-back slam by Nikola Milutinov kept Olympiacos in charge. Mantzaris struck from downtown and Milutinov erased Carroll's driving layup with another slam. Another three-pointer by Mantzaris forced Olympiacos to call timeout at 14-4. Carroll answered from downtown, but a wild put-back layup by Papanikolaou boosted the Reds' lead to 16-7. Carroll nailed a jumper off the dribble and Ayon brought Madrid a bit closer. Printezis scored around the basket, but Llull did better with a triple and soon added a layup that made it 19-15. 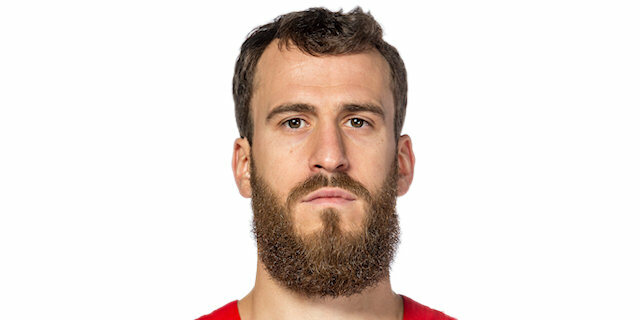 Andres Nocioni shined with a fast break layup, which Spanoulis improved on with a triple. A free throw by Othello Hunter fixed the score at 23-17 after 10 minutes. Ioannis Papapetrou made free throws early in the quarter. Rodriguez took over with a driving layup, which D.J. Strawberry erased with a close basket for a 27-19 Olympiacos lead. Warrick ignited the crowd with a one-handed slam in traffic, which Papapetrou followed with a bomb from downtown. Warrick kept pushing Olympiacos with a turnaround jumper, which Rivers matched with a driving layup. Ayon scored around the basket, but free throws by Daniel Hackett restored a 36-23 Olympiacos lead. Warrick downed another turnaround jumper, but Rivers quickly answered with a three-pointer and Ayon added a dunk off a steal to give Madrid hope at 38-28. Warrick scored down low. After Jonas Maciulis hit a corner triple, a layup-plus-foul by Hackett boosted the Reds' lead to 43-31. 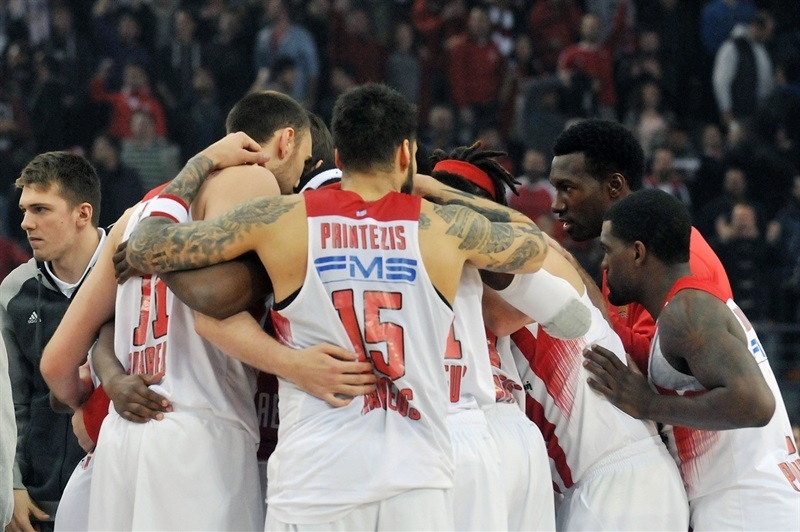 Spanoulis made free throws and a three-pointer by Mantzaris broke the game open. 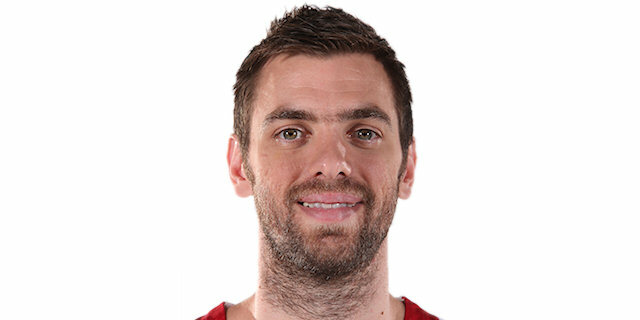 Printezis and Felipe Reyes traded layups and a huge buzzer-beating three-pointer by Spanoulis boosted the Reds' lead to 53-33 at halftime. Both teams struggled to score after the break until Maciulis nailed a corner three-pointer. Spanoulis hit a technical free throw, but Rodriguez answered from downtown to get Madrid within 55-39. 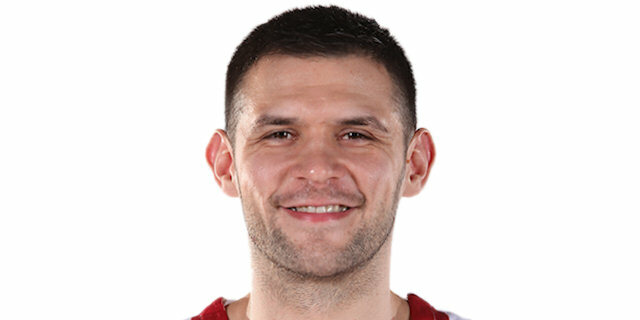 Papanikolaou took over with a coast-to-coast layup and erased Reyes's free throws with a put-back basket. Mantzaris fired in his fourth triple in as many attempts and Printezis added free throws to 64-41. Reyes stepped up with a layup, as Madrid improved its defense and forced Olympiacos into a 24-second turnover. 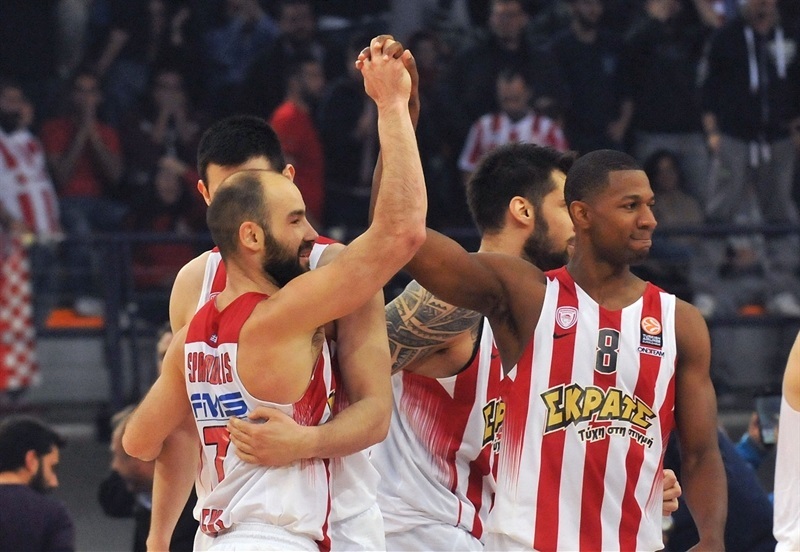 Hunter rescued Olympiacos with an alley-oop slam and Spanoulis added free throws. Nocioni buried a three-pointer, but Spanoulis found Hunter for another alley-oop dunk. Llull hit foul shots and another triple by Nocioni got Los Blancos within 70-51. 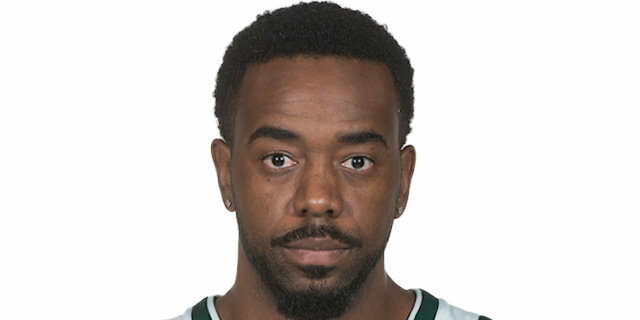 Rivers joined Madrid's three-point shootout, but Mantzaris answered from downtown on the third-quarter buzzer to give Olympiacos a 73-54 margin. Nocioni split free throws early in the fourth quarter and a three-pointer by Llull brought Madrid within 73-58, forcing Olympiacos to call timeout. Papapetrou shined with a wild acrobatic basket that Rodriguez matched with a driving layup. Darius Johnson-Odom struck from downtown but so did Rivers for a 78-63 Madrid deficit. Strawberry also hit one from beyond the arc and Mantzaris bettered Rivers's layup with his own triple to seal the outcome, 84-65, midway through the fourth quarter. Both teams kept fighting for the tie-break advantage, as Madrid registered a 12-point win in the Spanish capital. 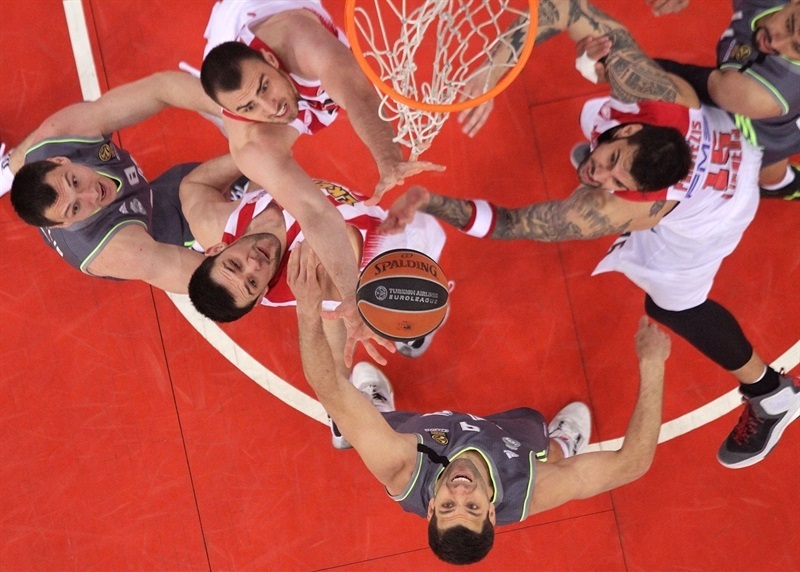 Printezis shined with three consecutive baskets to keep Olympiacos way ahead, 90-73, with over 2 minutes left. 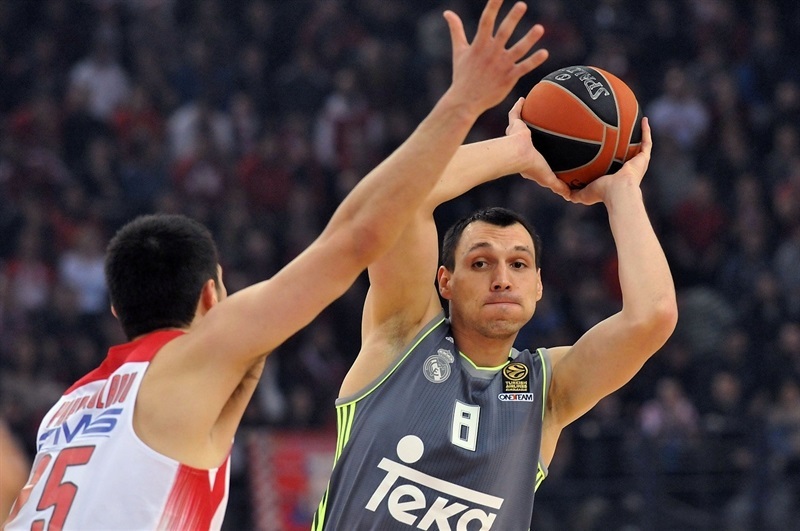 Llull buried a three-pointer and Rivers matched Spanoulis's free throws with a big basket. 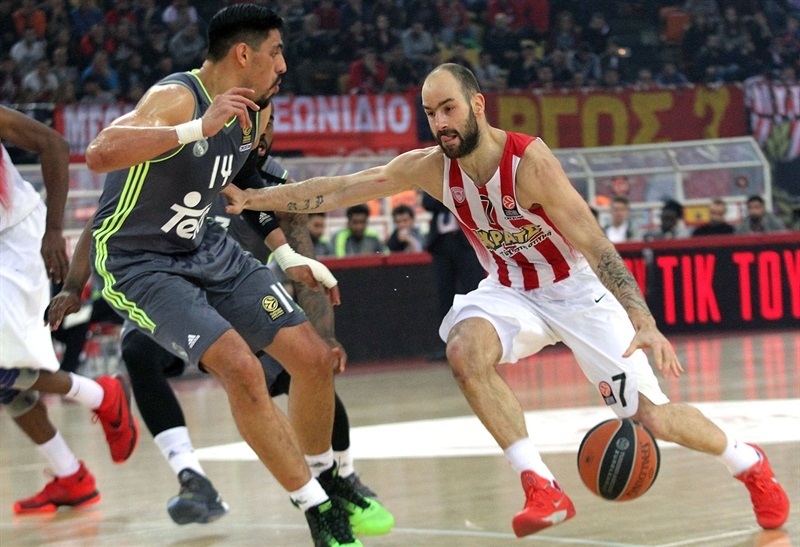 Spanoulis and Rodriguez exchanged foul shots and a wild driving layup by Printezis gave Olympiacos a 96-80 lead, allowing the Reds to round a near-perfect win. "We knew that we needed to win this game. All the players played with a big effort, they played excellent defense. We led all the game, for 40 minutes. Of course, Madrid is a good team, they reacted and tried with their three-point shots to cut down the difference. In the end, we played for the [tiebreak] difference. We had a good reaction on that. We reacted with good concentration in the end and got also kept the point difference. We know that the group is very difficult; anything can happen! We continue looking at the next game. We don't think about two games, but about the next game." 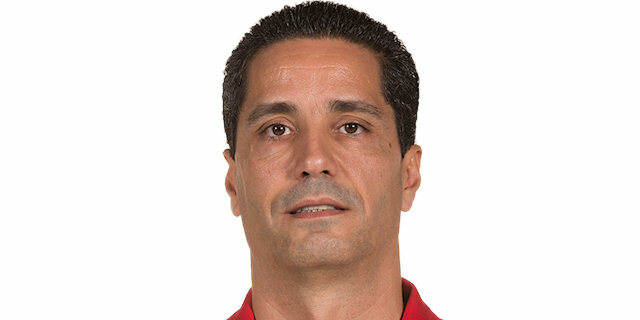 "Congratulations to Olympiacos, because they playd much tougher than we did and deserved to win. They scored all the open shots in the first half, got a 20-point lead and after that it was very difficult for us to come back. We tried like crazy to react and cut the margin, but I am still worrying why we didn’t play like that from the beginning. There are two more games to go and we have to become, again, a team in order to make it to the quarterfinals. So far both us and Olympiacos, last season’s finalists, are in a risky situation." "We got a very important win, but it is not enough for us to make it to the playoffs. Everybody game his best and tried hard for this result. We appeared as a fist and it worked out. The situation is still difficult and tough, but we are ready to fight and make it." "Although we scored nearly 100 points, defense was once again what let us win against a great opponent. The strong defense gave us the opportunity to run in the open court and sore a lot of points in transition. Now we have to follow the same path against Khimki Moscow Region on the road and CSKA Moscow at home and must just play hard and try the best we can. " "We were very aggressive today, from the beginning, defensively and offensively. We wanted this win very much and showed it since the beginning of the game. We were focused for 40 minutes. Thank you very much to our fans in the stands tonight, they were our sixth player and gave us a lot of energy. I know that we have not been very good this year, as we are supposed to be. We are very unhappy about this, but we try and practice a lot. We will now try to give our best in the last two games to qualify to the next round." "It is a great win against the defending Euroleague champions, but we cannot enjoy it, because there are two more crucial games, which will decide our future. Now we are 6-6 and the road to the quarterfinals is still open. It depends on us. We are trying to recover and make a comeback, because so far we didn't play the way we can. Tonight we prepared very well, proved our strong character and didn't' allow Real Madrid to react. Both defense and offense have been great, while the fans created an outstanding atmosphere and pushed us to the victory. " "Hats off to Olympiacos because they played a great game tonight and didn't allow us to fight. It looks like we didn't have motivation and after this loss the qualification is in doubt. 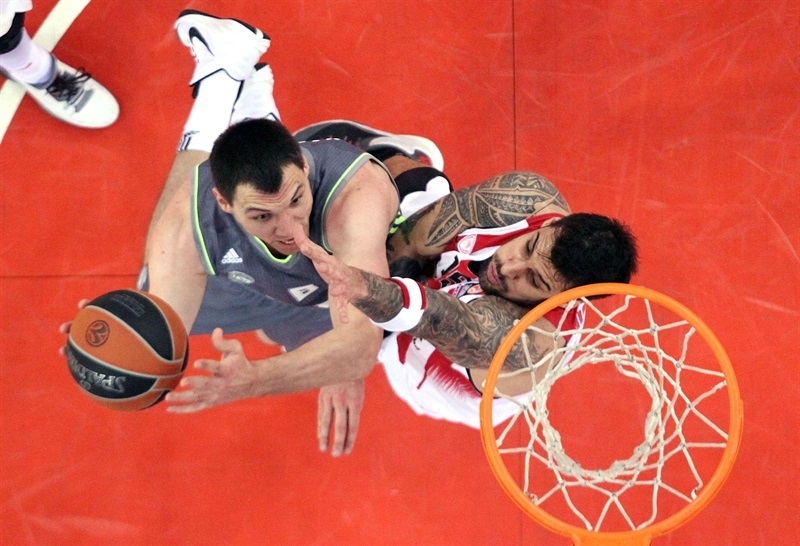 Olympiacos proved that it had more desire to win and did thanks to their aggressive defense, which was the key factor." "It is a very bad loss, which we didn't expect. Although we came here to play a game like final and to emphasize defense, everything went wrong tonight and now we are in a tough spot. We have two more crucial games to play and we will give our best to advance to the quarterfinals. We have the experience and the knowledge to succeed. We know how to handle such a situation."